In existing homes, it's easier to install radiant heating in the walls and ceiling than under the floor, yet it offers the same—and in some cases even better—benefits. Think “radiant heating” and you’re likely to think of floors. But did you know that radiant heat panels can also be installed in your ceiling and your walls to offer the same clean, quiet, even heat for which the floor system is known? In fact, in the 1950s and ‘60s, electric radiant ceilings were quite popular. As the price of electricity climbed, however, these panels became too costly to operate. Fortunately, there are new systems out there, like those from Warmboard, Inc. Warmboard radiant panels hold flexible tubing that carries warm water from your home’s gas furnace or oil burner and transfers that heat to the interior of your home. The result is exquisite comfort. For existing homes, it is often cost prohibitive to install radiant floor heating because of the labor and materials involved in ripping up and replacing the floor. For homeowners wanting to keep their existing tile or hardwood floor, but still benefit from radiant heat, wall and ceiling applications can be installed less intrusively and for a lower cost. Warmboard panels are particularly suited for wall and ceiling installations because of their compact size and efficiency. The company’s Warmboard-R panel is just 13/16 inch thick, so it doesn’t take up much additional space when it’s installed. For wall retrofits, all that is generally required is removal of the original drywall, installation of the product, and reinstallation of the drywall. 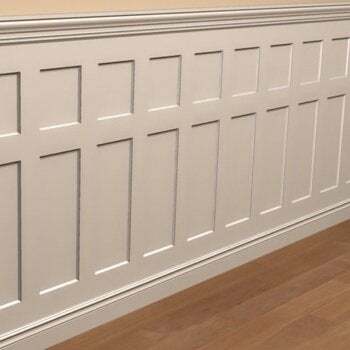 If this causes the wall to move out too much, homeowners oftentimes create a framed panel on the wall or install wainscoting to add decorative appeal. To get a nice, enveloping heat in any room, you can install radiant panels in the bottom four-foot section of your walls. 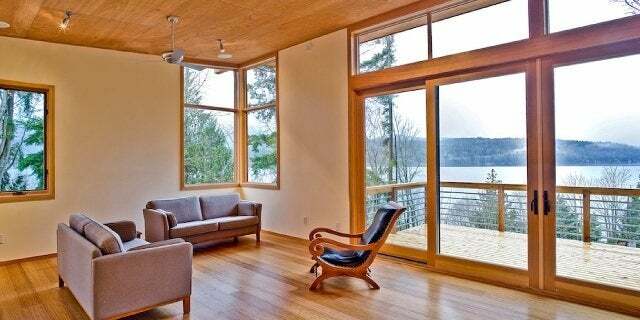 If you have a room with high ceilings, however, you can extend the range of the installation up to eight feet. It’s important to insulate properly behind your radiant walls, so be sure your contractor is familiar with this requirement and installs the system properly. Also, when planning the location of your radiant panels, remember that the system works best with a “line-of-sight” layout. This means you’ll be most comfortable with the least number of barriers between you and the wall in which you install the system. To get the most out of radiant ceiling heat, it’s recommended that the system be installed on flat ceilings that are between 8 and 12 feet high. While Warmboard offers better-than-average conductivity, panels installed on the ceiling must also be properly insulated. A secondary benefit of installing radiant panels in your ceiling is that in the warmer months, your system can be designed to pump cool water through the tubes, lowering the temperature of your ceiling to about 60 or 70 degrees Fahrenheit. As warm summer air rises, it will hit the ceiling, cool, and fall, creating a natural convection cooling system. With this setup, in order to avoid condensation, it is recommended that a dehumidification system be put in to lower the humidity of the air. According to the U.S. Department of Energy, radiant panels have the quickest response time of any heating technology. Because the panels can be individually controlled for each room, that quick-response feature can result in cost and energy savings when rooms that are infrequently occupied are suddenly put into service. In addition to this benefit, radiant heat also provides even heat, unlike the on-and-off blasts from forced hot air systems or electric baseboards; heat that is quiet, which is not the case with clanging radiators; and heat that contributes to an allergy-free environment, because there are no ducts or fins to gather dust and other substances that can irritate airways. Note: People worry about hanging things on walls in which radiant panels are installed. While keeping radiant panels installed below a 4-foot height generally reduces the concern, taller installations will require some planning. To make sure you don’t puncture tubes when nailing picture hangers into a radiant-heated wall, take a photo of the system before the finishing drywall is put up, so you know where the tubes are. Then, use a tape measure to mark their locations and annotate the distances on your photo. Then you’ll be able to stay warm and comfortable in a truly artful way!